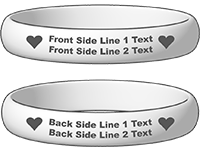 Laser-engraved, immaculate lettering and etching ensures that your message or artwork lasts as long as the band itself (i.e., a long time!). Phrases and symbols won't wash off or wear away. Our unique contour band is extra-thick and molded for a bangle-like bracelet in an upgraded version of our traditional band. Rounded and firm, it makes an excellent venue for displaying a message or artwork. Looking for something a little nicer than a regular wristband? 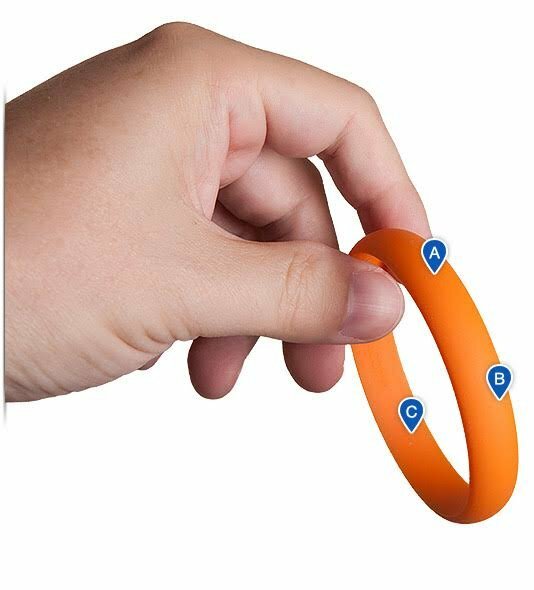 The Contour Wristband is for you. A rounded contour gives these bracelets a luxurious, jewelry-like look and feel. Upscale from the traditional silicone bracelet, our Contour Wristbands are extra-thick and sculpted for a polished look, in addition to being strong, durable, and customizable. The 3D viewer at left displays a Gunmetal Gray Contour Wristband with light blue color-fill text.